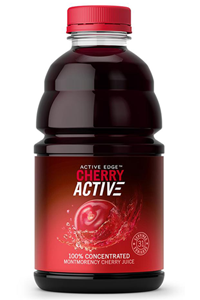 Cherry Active is a highly concentrated, antioxidant rich Montmorency cherry juice. A single 30ml serving has a incredible antioxidant strength of 8260 ORAC units which is equivalent to 20 typical portions of fruit and veg. Each 30ml serving also counts as one of your five a day. A 946ml bottle contains nearly 3000 cherries. Almost half a cherry tree! Avoiding harsh heat treatments, preservatives and additives during processing Cherry Active employs a unique technique to ensure the very best quality and potency during the concentration process. Montmorency cherries are a rich source of anthocyanins and other micro-nutrients known to possess powerful antioxidant and anti-inflammatory properties. 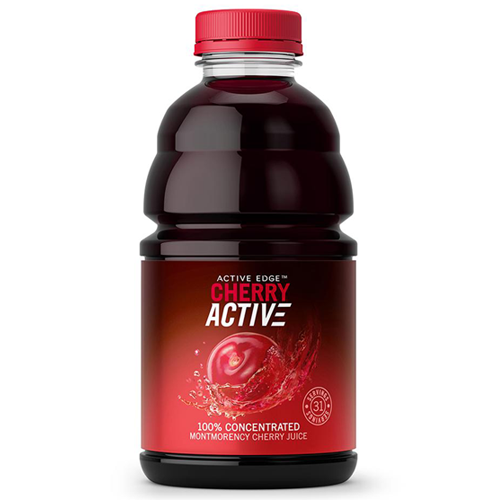 Simply dilute Cherry Active Concentrate with fresh water to make a delicious, health- promoting cherry juice! Suggested mix is 30ml with 250ml water. Alternatively add Cherry Active to fruit juice. Contains no sweeteners, flavourings, colourings, preservatives or added sugar.